Wandering down this road that we call life is what we're doin'." 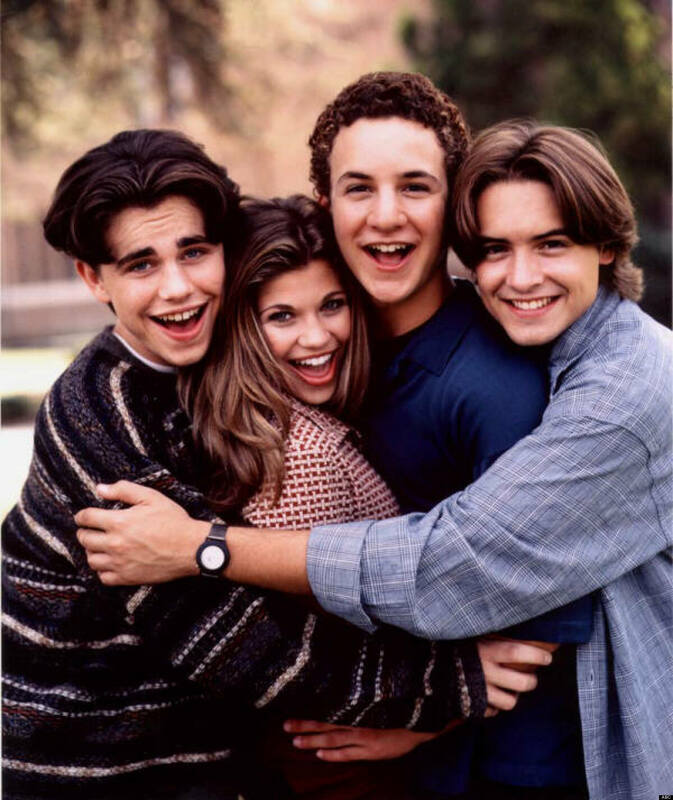 "When this boy meets world..." The opening of this classic television show just does something for the soul. My obsession with the show even went so far as giving my parents an ultimatum before my brother was born, "If she's a girl name her Topanga, and if he's a boy, Corey." (And I think they're pretty relieved he was a boy). For roughly 30 minutes per episode, we would be let into the world of Corey, Topanga, Shawn, Eric, Mr. Feeny and so many more. From middle school to marriage, we have gone through so much with the crew that represented the true meaning of best friends. However, this show was anything but shallow. Each episode had a take away point for its audience (usually given by Mr. Feeny) that helped the young 90s kids watching it to learn lessons that could be used as they grew up with the show, all the while becoming more complex and mature to age with its viewers. This show has truly left an impact while simultaneously being hysterical, moving and all around amazing. So here's to nostalgia and seven seasons of a show that taught us how to be great human beings. 1. It Taught You About Love. What's better than Corey and Topanga's love story? They showed us that love isn't easy, but anything that's worth having takes hard work and patience. 2. It Also Taught You About Loss. Among many sad moments, Shawn Hunter's tragic loss of his father stands out in my mind as one of the saddest TV moments. How he bounced back from this tragedy defines adversity. 3. We Learned We Should Express Our Feelings. Never let anything dull your personality. It just might win you the man of your dreams (Ahem, Topanga and Corey). 4. To Always Take Time To Be A Little Silly. Eric was the definition of an adult who never grew up. As one of the oldest "kids" on the show, he was always one of the most hilarious. 5. We Learned Our Best Lessons From Mr. Feeny. No episode was complete without a problem to be solved, and a Feeny solution. While there was usually a hunt for the solution by the gang throughout the episode, they always came to Feeny's garden or classroom with their revelation to his satisfaction. 6. It Taught Us How To Cherish Our Friends And Family. The relationships throughout BMW have stood the test of time. Relationships, fights, break ups; you name it, they've been through it, and they've never failed to be there for each other every step of the way. 7. We Related To It On So Many Levels. At the end of the day, the BMW cast was a group of kids/teens/adults going through the same situations we were at the time. They guided us through some of life's most tricky moments. 8. It Taught Us To Never Give Up. Whether it was Corey and Topanga staying at the same college to preserve their relationship or Eric's pursuit of every girl he sees, they never gave up until they reached their goals and created the lives they had always dreamed of. 9. It Taught Us To Be Independent. Whether it was Topanga's bold attitude or Shawn and Jack's real life struggle of living on their own without parental influence most of the time, these characters proved that no matter how young you are, you can fend for yourself and create your own voice. 10. It Gave Us Some Pretty Inspirational Moments. We will carry some of these life changing quotes with us forever. 11. It Simply Taught Us How To Grow Up. By traveling through seven seasons and seven years with this cast, we essentially became family. They taught us how to grow into adolescents and adults only Feeny would be proud of.